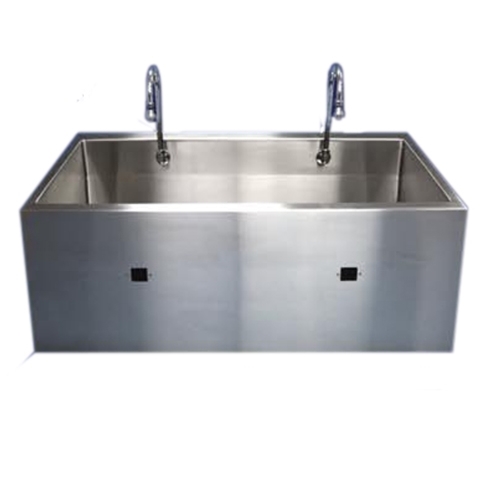 Infrared sinks are equipped with a 24 volt plug in transformer Adjustable thermostatic controlled pressure regulating mixing valve, one per station mounted under sink. High mount swivel gooseneck spout with adjustable swivel spray aerator. Z-brackets (See specifications on rear panel for in-wall support). 304 stainless steel polished and ground to a #4 finish.